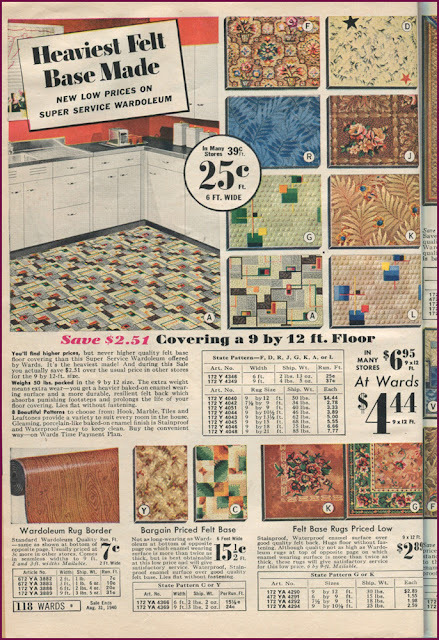 I started drooling at the Deco style floor tiles. 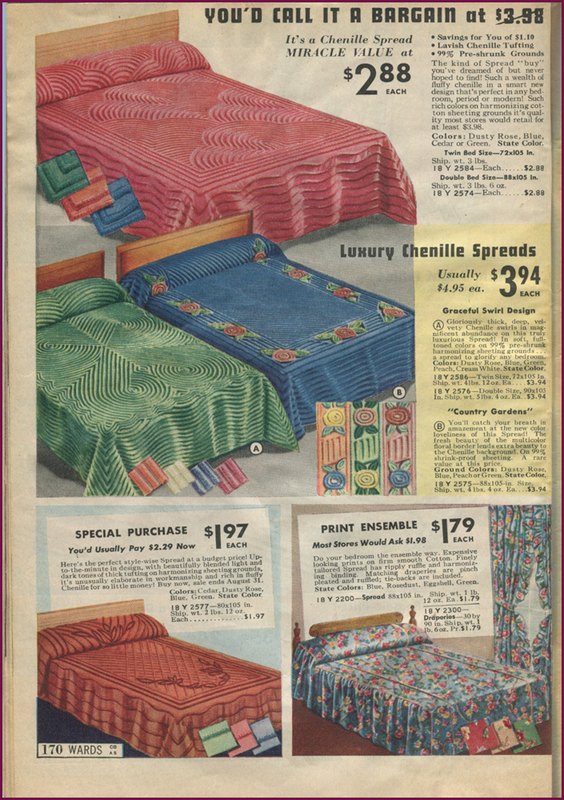 It got worse when I saw the chenille bedspreads. OHMYLORD, get me a TARDIS and I'm going to MoneyWard's for some Wardoleum. 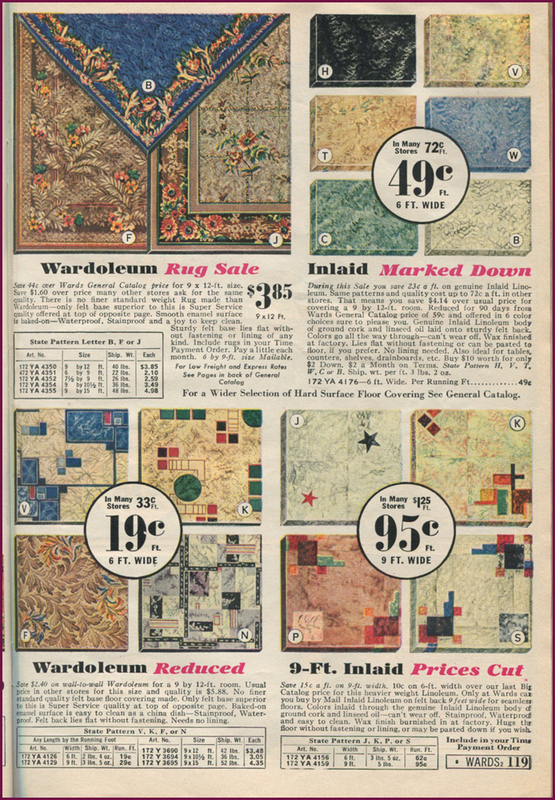 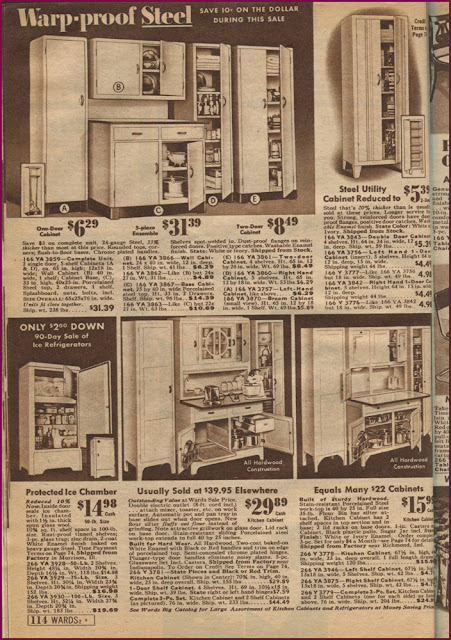 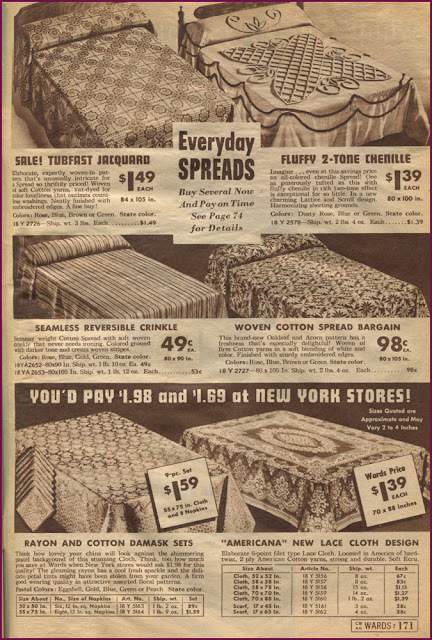 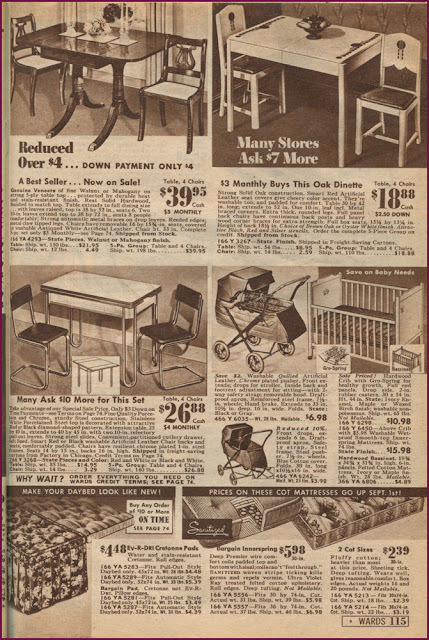 Although if I went to my grandfather's linoleum store, he might give me a deal. 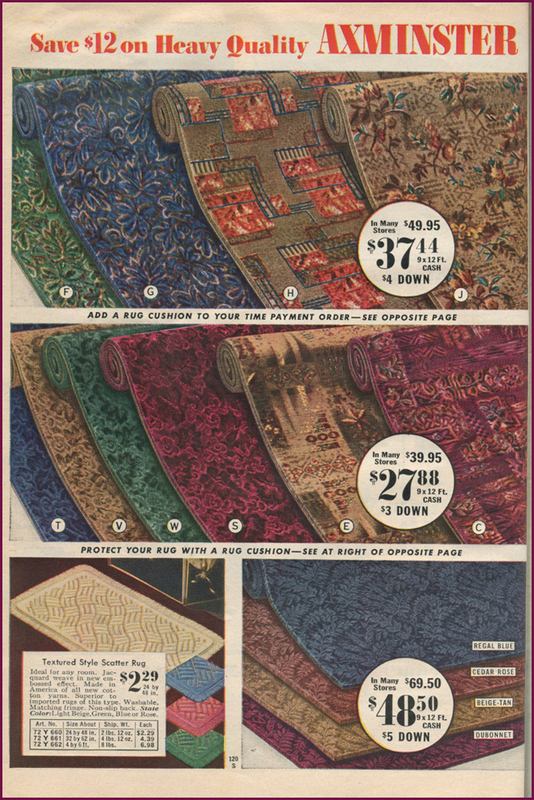 There was something similar on the garage floor (covered in oil and dirt) when we moved into this house (1907), but it disintegrated when I tried to pick it up.